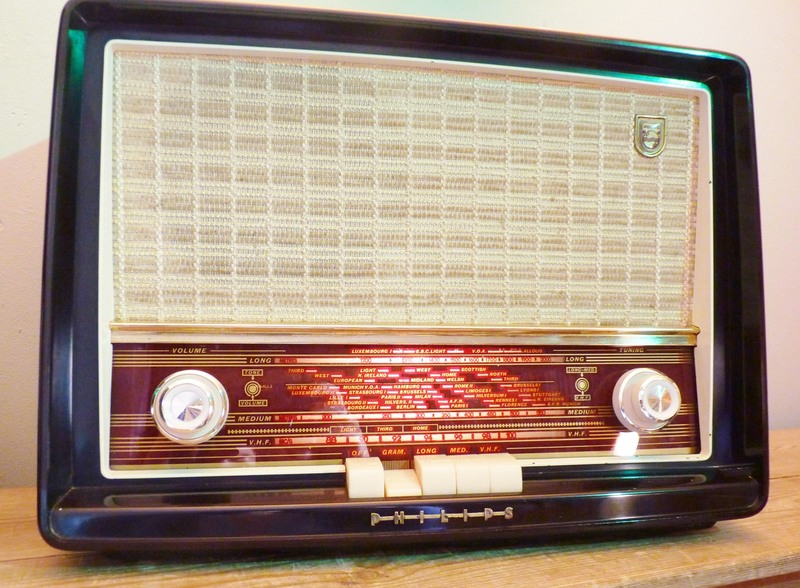 1956 Vintage Valve radio made by Philips GB. What can I say about this tip top, table top radio? It has a distinctive claret and gold radio dial, piano keys, and is in a really good condition for its age. It bears the familiar Philips trademark, which although I’ve seen countless times, I can only now, after a little research, appreciate its significance. The waves and the stars symbolise radio waves with the stars representing the ether of the evening sky through which radio waves travel. How poetic. It must have been a good design because it has certainly stood the test of time. First making its appearance back in 1926 on the packaging of miniwatt radio valves, and on the Philigraph, an early sound recording device. In 1956 the collage Just what is it that makes today’s homes so different, so appealing? 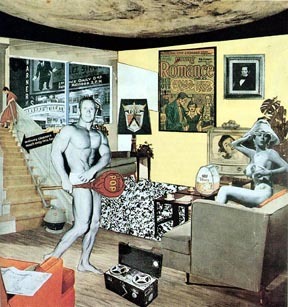 was created by Richard Hamilton for the exhibition This is Tomorrow at the Whitechapel Art Gallery. This was thought to be the first example of a new exciting art genre and he subsequently became known as the father of Pop Art. 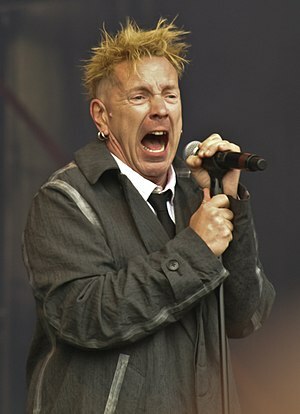 Smooth operator Dean Martin spent four weeks topping the charts with Memories are Made of This and in complete juxtaposition, the loud and leary Mr Punk, Johnny Rotten was born. 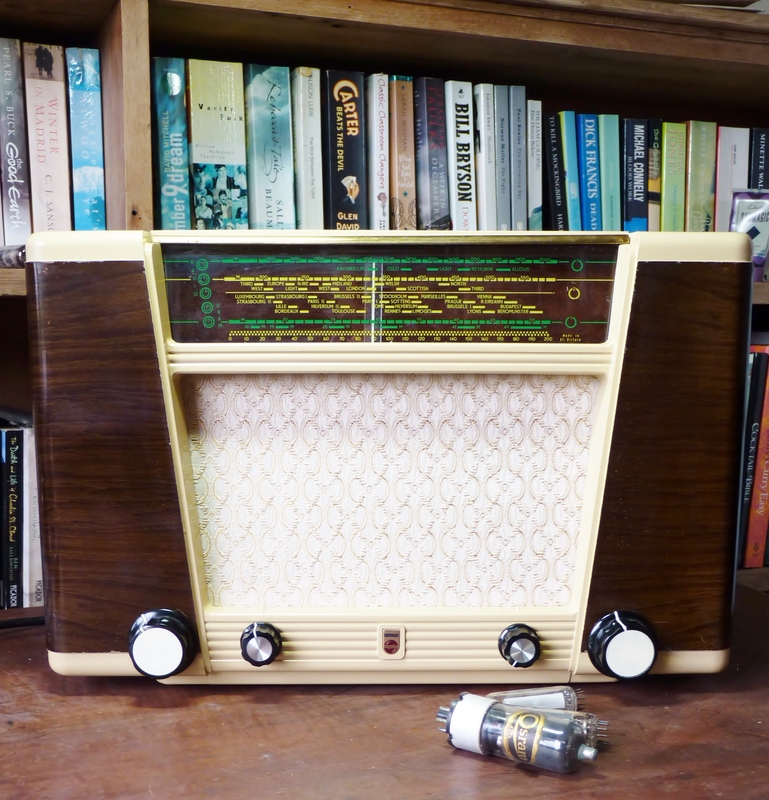 A beautiful radio, small but perfectly formed. The perspex grille is gently lit when the radio is switched on. It was made in about 1954 for the Dutch market and was just perfect for conversion to a bedside iPod dock. 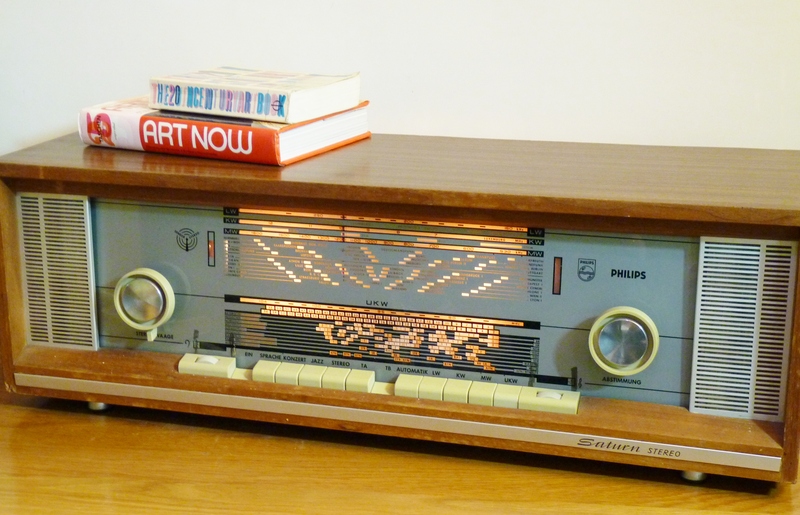 1966 Philips Saturn Radio, made in Germany in the same year England won the World Cup. This is a long, lean stereo machine, in fact 73cm long. It still needs a bit of a dust and a polish before it’s finally finished, but we think it’s looking good already and it sounds even better. One of the replacement valves was particularly hard to source but worth the effort. We think it could be the best sounding so far. Hot off the workbench a 1950s Philips Table Radio. If it’s the era of the fifties that float your boat, this could be the one for you. 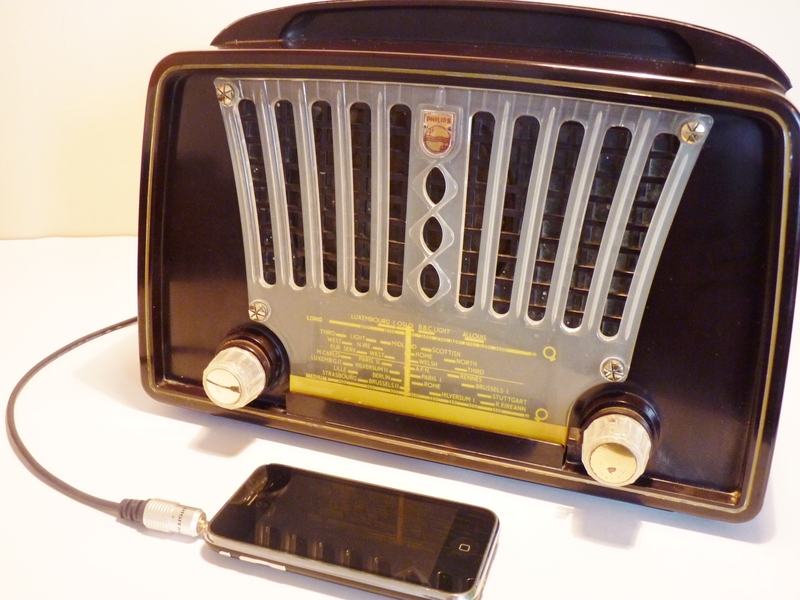 This bakelite beauty represented a complete change in styling for Philips Radio. The purists among you might notice the knobs aren’t original. We now have a dilemma. Original knobs that don’t fit properly or new knobs that do their job? This argument could run and run. We’ll leave it up to whoever buys it. That’ll keep the customer satisfied. If I knew how to, I would put a link to a song.